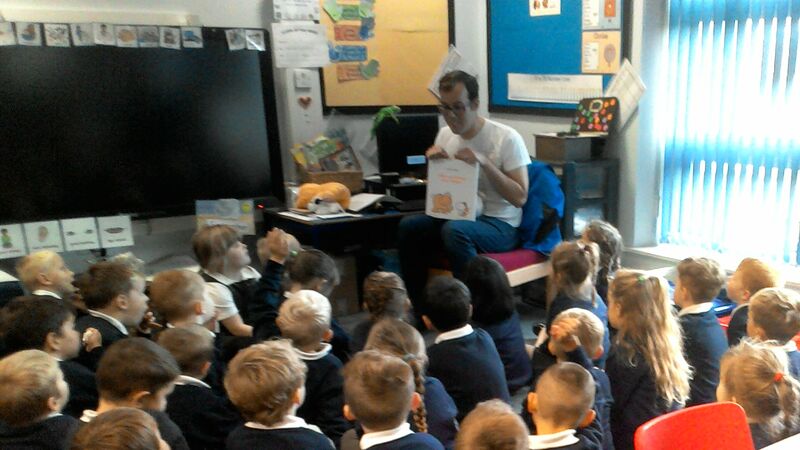 Short & Smiley > School Visits > From Goole to Chesterfield! September was a very exciting month for me as an author. 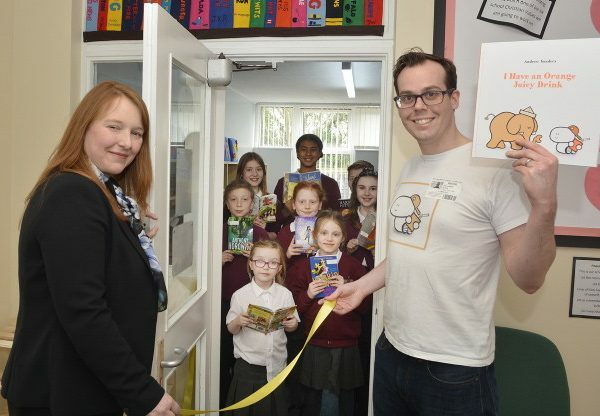 I visited Marshlands Primary School in Goole near the end of the month – and did something I’ve not done before. I gave an assembly to the whole school and did a Q&A with all the students. What was particularly astounding (for me at least) was that even year five and six pupils still have a love of picture books. The older children asked what inspired me (…my family), what they had to do to become an author themselves (…practice! lots!) and if I’d always wanted to be someone who draws and writes things for a living (… yes, except for a brief time in the summer of 1989 when I wanted to be a Robin Hood lego man.) 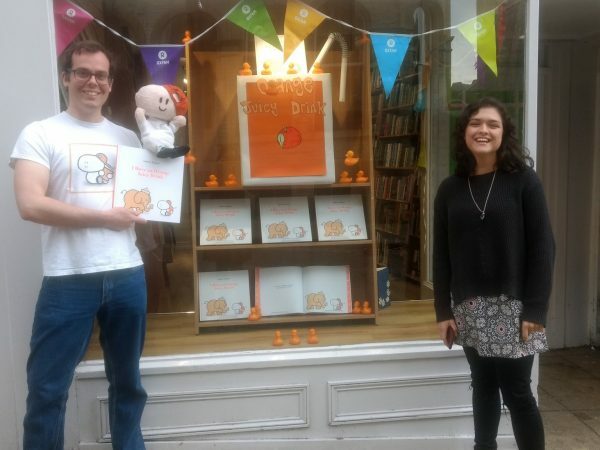 a large number of them even ordered a copy of I Have an Orange Juicy Drink – which is proof that you are never too old to enjoy a very silly story! Shortly afterwards, and with the help of Lindsey Apps, (Head Teacher at St Mary’s Primary school in Chesterfield) I visited four schools in two days. I have to add a disclaimer: I feel very lucky to do my job – I get to go into schools, run some very fun and silly activities and generally have a great time – but sometimes it feels extra special. Being in so many class rooms in such a short space of time meant that I was powered through the day on a combination of enthusiasm, children’s laughter and a handful of the really good biscuits that teachers keep in the staff rooms. Literally all the schools I visited in my time in Chesterfield, New Whittington Primary, St Mary’s Primary, St Joseph’s Primary, Abercrombie Primary were just full of keen, eager and friendly staff – they were happy to get on board with all actives that I planned, and joined in with all the silliness and fun! Being whisked from one class room to the next was a breeze and I was well maintained with endless cups of tea and pieces of cake and biscuits.